The cost of bread, milk, meat, fruit, vegetables and beer in Jersey is higher than the UK, a report from the States has said. According to the government's statistics unit milk, fruit and vegetables costs about 33% more in Jersey, while meat is 25% dearer. 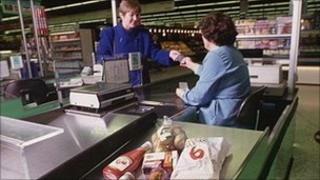 Overall, food costs in Jersey rose by 3% in 2009, compared with a 2% increase in the UK. However, cigarettes, unleaded petrol and diesel were cheaper in Jersey. Over a five-year period from June 2005 until June 2010, the overall increase of the Retail Prices Index (RPI) in Jersey was 16% - similar to the UK figure of 17% and Guernsey's figure of 15%.